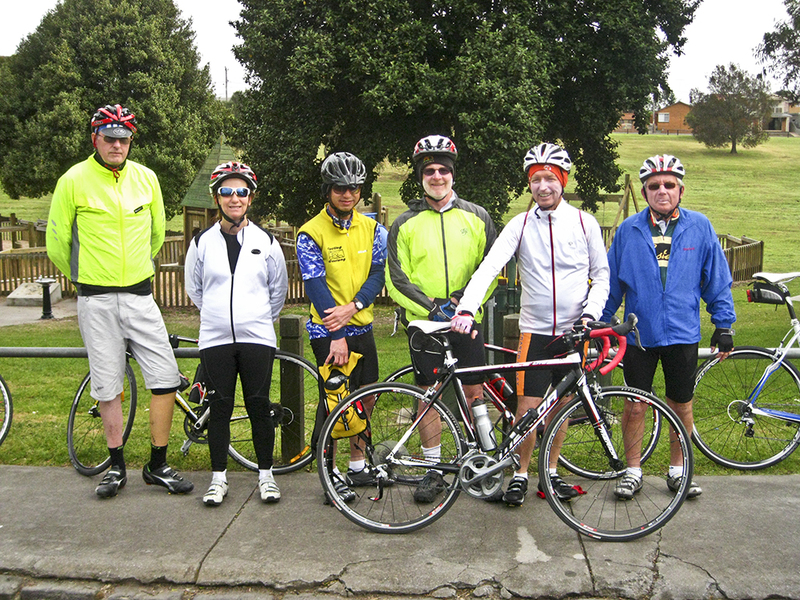 This morning seven intrepid cyclists turned up at Rippleside to ride over the Barrabool hills to Anglesea. From Rippleside Park, the route was up to the Cement Works then down Highland Street to Fyansford, along the Hamilton Highway, before crossing to Barrabool Road on Merrawarp Road, near Ceres. Then the significant undulations started, with two category five climbs before turning off again onto Hendy Main Road for Mount Moriac. A few more undulations were met with tired legs, but strong wills and the group was rewarded with the smiling faces of Alex and Roxanna at Mount Moriac. Alex then joined the ride through Moriac and on to Anglesea via Forest Road and the Great Ocean Road. With 50km accomplished (including all but one of the big hills) refreshments were in order. Daniele’s Cafe was just the thing. 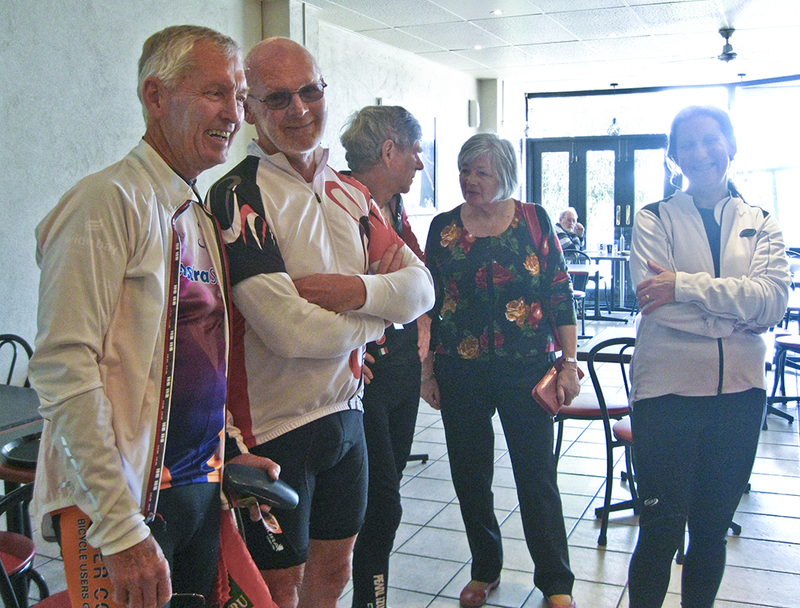 Terry, Paul, Alex, Rozanna and Karen wait to give their orders. Caffeine is wonderful for tired legs and the hill out of Anglesea (listed as another category 5 ascent) was ‘easy’ with a tail wind. The speed picked up on the flat and soon Torquay was in sight. Swooping downhill has never been more fun – all the better for a sense of having earned the feeling. Despite heavy traffic before Blackgate Road, Horseshoe Bend Road was soon accomplished before a turn over the Breakwater Bridge and back to Rippleside Park via the waterfront. The round trip was 97km (though Karen and John would have cycled considerably more) and the average, despite the hills, a comfortable 21-22kph. Barry suggested he hadn’t done such an easy ride for ages and was ready to do it all again. Funnily, there were no takers. See you on the next 100km ride.